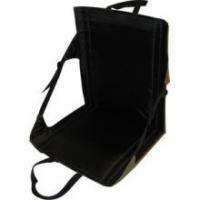 • Uniform design folds compactly with secure snapping locks and shoulder strap. 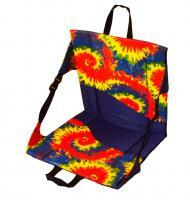 • Lower pocket hangs to organize event day materials. 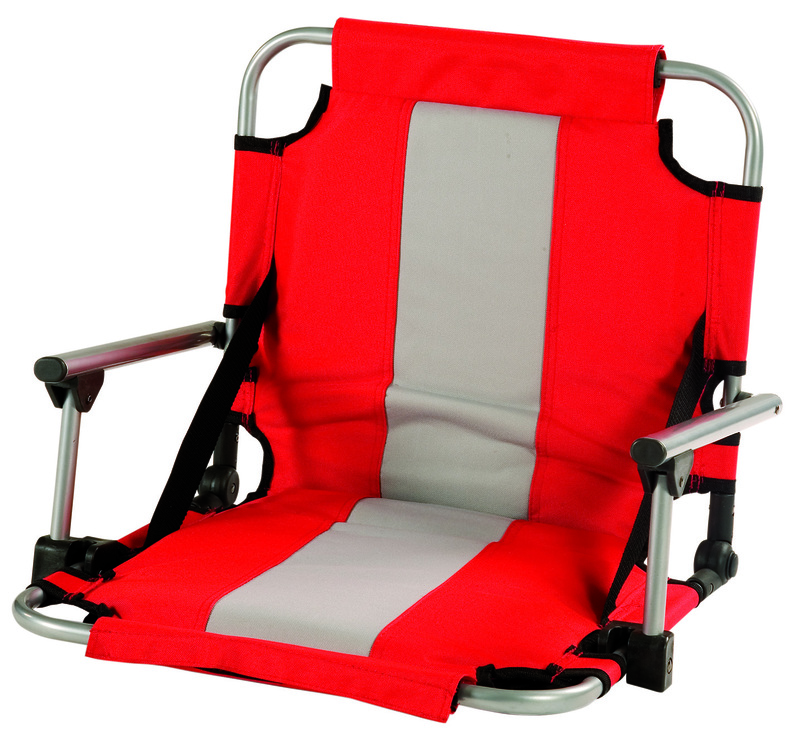 • Steel hook on bottom keeps your seat securely attached to bleachers. 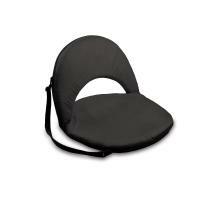 • Large pocket on backrest is perfect for event day programs. 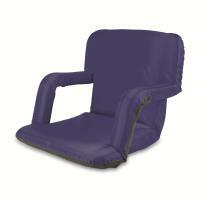 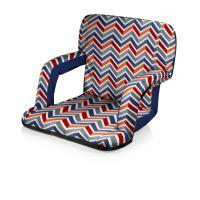 • Padded seat and backrest. 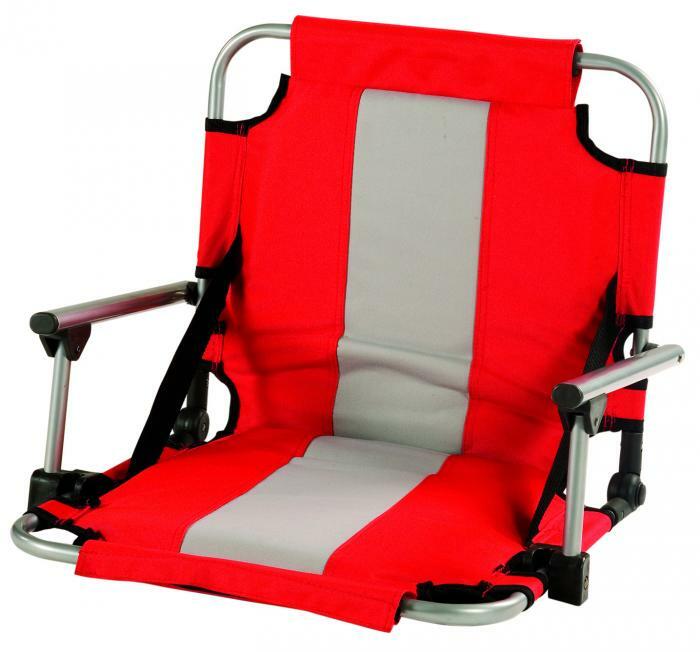 • Steel tubular frame for strength and durability.